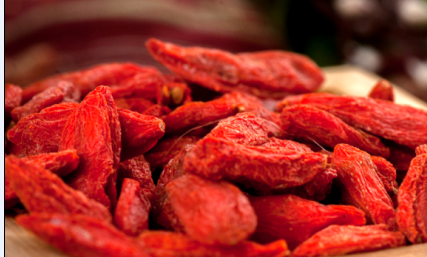 Here are a few ways to incorporate goji berries into your routine. Lycium Barbarum or goji berries can be used just like raisins. You can add them to oatmeal, cookies, or just eat them straight. They can also be added as a topping for yogurt and ice cream. Goji Juice is a popular way to get the health effects of the berries. To prepare it, put 25g of Goji in the blender, add 1 cup of water and drink to your health. Tea is a great way to get the antioxidants that goji berries have to offer. The berries can be used to make hot or cold tea my steeping them for fifteen minutes before drinking. Adding goji berries in soup is a traditional Chinese way to eat the Goji Berries. You can mash them or blend them before putting them into the soup. Lycium Barbarum or goji berries flavor natured, rich in Lycium barbarum polysaccharides, nourishing liver and kidney, Yi Jing Eyesight, can improve the body resistance and cold resistance, but also help to reduce blood lipids and blood sugar, moisturizing the skin. Especially suitable for winter, weak physique, hands and feet cold, poor resistance of girls. 6-12 grams of dry chewing every day, renewal from the inside out of health and beauty, beauty of you do not miss Oh! Medlar with soy milk, whole wheat bread, nutrition and health, is a low-fat nutrition of health breakfast. Looking for ideal 2017 Nutrient Lycium Barbarum Manufacturer & supplier ? We have a wide selection at great prices to help you get creative. All the New Harvest Lycium Barbarum are quality guaranteed. We are China Origin Factory of 2017 New Harvest Dried Wolfberry. If you have any question, please feel free to contact us.